A team of domestic helpers are determined to demonstrate the benefits of running to others in the same employment. 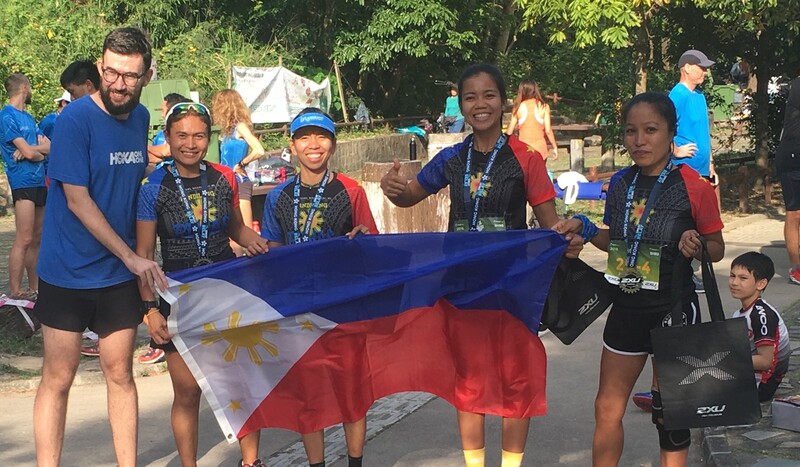 Team Bandilang Pinas – which means “Filipino Flag” – were the first women over the line at The Great Relay at Aberdeen Country Park on Sunday. 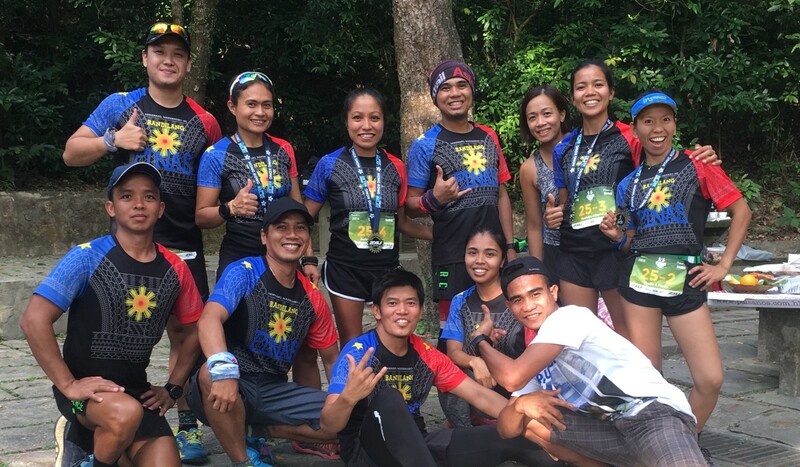 The team comprised four Filipino helpers: Jaybie Pagarigan (aged 38), Fredelyn Alberto (30), Cecile A Flores(34), and team captain Dolly Vargos Sales (40). The Great Relay is five-kilometre loop, where teams get as far as they can in three or five hours. “We want to show Hong Kong that Filipinos are more than just domestic helpers,” said Alberto. The team managed to enter Hong Kong’s elite running class by training during days off and by cleverly turning work duties into training opportunities. “If you spend a lot of time running while carrying a heavy shopping trolley, you get much stronger, and it makes running without carrying anything even easier,” she said. Team captain Sales lives two kilometres away from her workplace so she wakes up early every morning to run to work rather than take public transport. She also lives in Discovery Bay, a perfect place to train during her spare time. “That gives her an unfair training advantage,” Flores joked. Sales said she and the rest of her team were very fortunate to have bosses that support their running endeavours. “Actually, my boss and his wife decided to join a race for the first time yesterday, all because of me,” she said. “And they will race alongside me in a 10km race in Discovery Bay this Saturday. They also hope to encourage more helpers to lead fit, active lifestyles. “It’s very annoying to see so many helpers that just work all day and sit around on their day off. Somehow, they just don’t realise how great it is to get out and be active,” Alberto said. Pagarigan said other helpers were surprised by the amount she runs despite having a full-time job. “They don’t understand that running gives you more energy. I can’t think of a better use of my spare time,” she said. It is often difficult for domestic helpers to pay the steep participation fees for some races. So the team spend a lot of time volunteering for different race organisations so they can race for free or for a cheaper fee. “It also gives us a lot of motivation to train harder because when we race we feel we have to win to get the prize money. Otherwise, it feels like we paid to race and we get nothing. For us, that kind of money is a big deal,” Alberto said. The team gets together to train every Sunday on days that they do not have volunteer work. They also participate in a variety of other sports, including yoga, hiking and swimming. Flores plays touch rugby every weekend. And they have no plans of slowing down, either. The team will be taking part in several upcoming races, including the Spartan Race and the Lantau Skyrunning Championship.